Recently, there’s been an increasing number of attempts to get control over the internet by Western governments. Internet community in USA managed to stop PIPA and SOPA; our website also participated in an online protest, which was expressed as a blackout (together with many other websites, including Wikipedia). Now, there is a new, international threat to the net! ACTA! 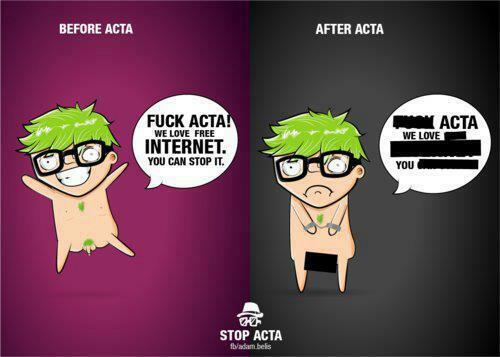 Please sign against ACTA following the link.